Press TV - The wife of a former FBI agent who went missing in March 2007 has announced that she is going to visit Tehran in the coming weeks. Christine Levinson said she still had no credible news about her husband, Robert Levinson, who disappeared in March last year. "There are a lot of theories floating around, but we have no concrete information," she said after meeting State Department senior official, William Burns. The US government alleges that Levinson went missing in Iran during a business trip to Kish Island off the country's southern coast in March 2007. But Levinson is convinced her husband is alive. "I have never heard anything bad and I believe if something bad had happened, by now we would have heard something." Levinson and her son Daniel visited Iran last December and met police, officials from the foreign ministry and others they believe might have information about her husband. She said the next visit is aimed at following up to see if officials had found anything out. Levinson added she was concerned about her husband's health. He suffers from diabetes, hypertension and gout. "No matter what, I am going to continue to search for Bob for as long as it takes. This is my job," she noted. Levinson retired from the FBI a decade ago. An American Gone Missing in Iran: Interview with Christine Levinson about her husband's case and the family's ordeal - Payvand.com - Iranians are famous for being very hospitable people. There is a saying in Persian that says guest is God's friend. 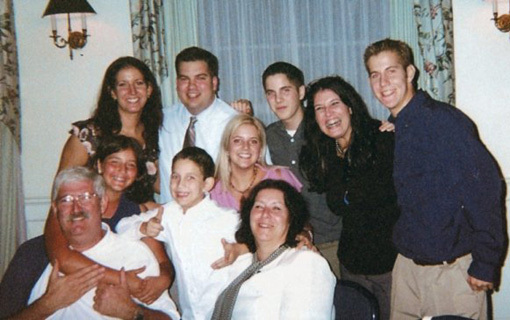 So the disappearance of Robert (Bob) Levinson, an American on a private visit to the Kish island in Persian Gulf, is quite surprising, disturbing and mind-boggling.